Silver City's Most Versatile Contractor! Chavez Construction is committed to providing homebuyers with new homes featuring the highest quality of craftsmanship, innovative design and personalized service - all at the best possible value. 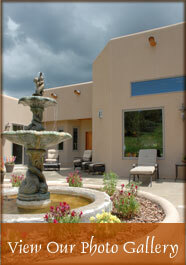 Our continued mission of excellence has made us one of Southwestern New Mexico's most desirable builders. Whether you're looking for new homes available today or want to build a custom home, we can make it happen. Choose from stock plans or let us put your ideas for a dream home into a custom design! Also available for remodeling, additions, and roofing!